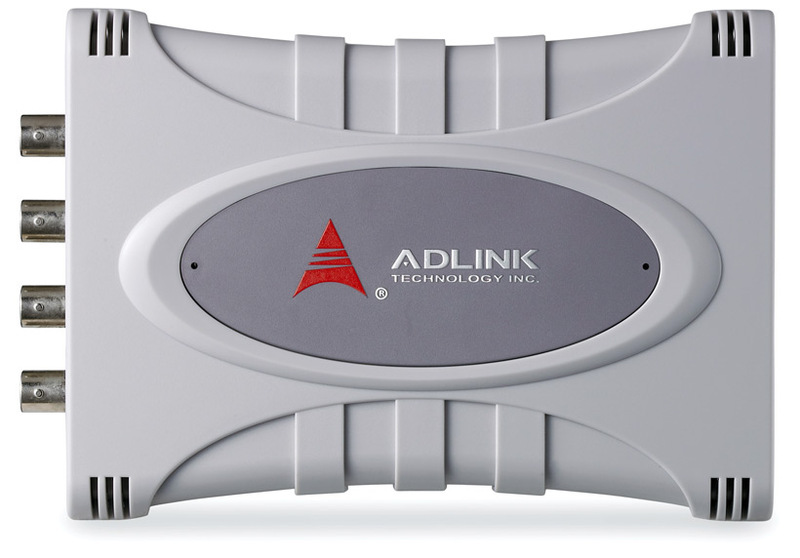 The USB-2405 is a 24-bit high-performance dynamic signal acquisition USB module equipped with 4 analog input channels providing simultaneous-sampling at up to 128 kS/s per channel. The USB-2405 also features software selectable AC or DC coupling input configuration and built-in high precision 2 mA excitation current to measure integrated electronic piezoelectric (IEPE) sensors such as accelerometers and microphones. The USB-2405 delivers high precision, DC and dynamic measurement performance with very low temperature drift. 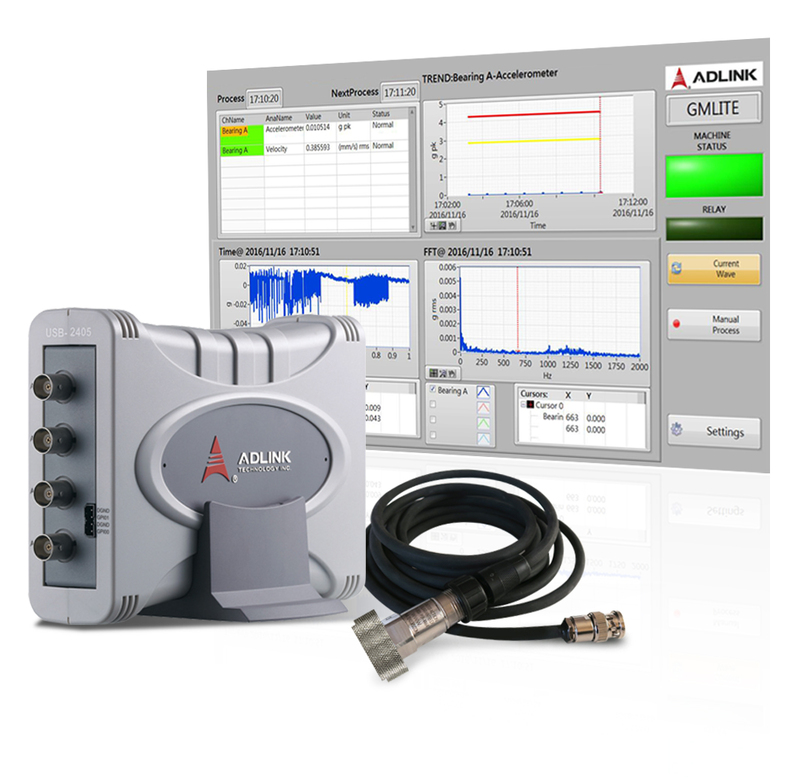 The onboard 24-bit Sigma-Delta ADC supports anti-aliasing filtering, suppressing modulator and signal out-of-band noise and providing usable signal bandwidth of the Nyquist rate, making it ideal for high dynamic range signal measurement in vibration and acoustic applications. 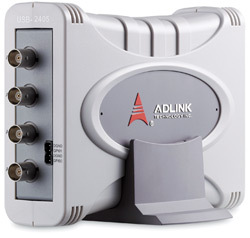 The USB-2405 supports digital and analog trigger sources and flexible trigger modes, including post, delay, middle, gated, and pre-triggering for efficient data acquisition with no need for post-processing. The USB-2405 is USB bus powered and equipped with BNC connectors and removable spring terminals for easy device connectivity. 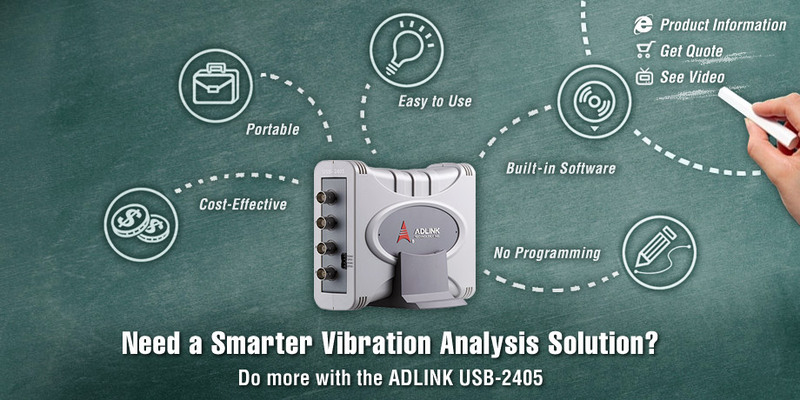 With Visual Signal DAQ Express, the included time-frequency analysis application developed by AnCAD, ADLINK"s software alliance partner expert in machinery vibration analysis, the USB-2405 is easily configured to acquire data and perform analysis in seconds. 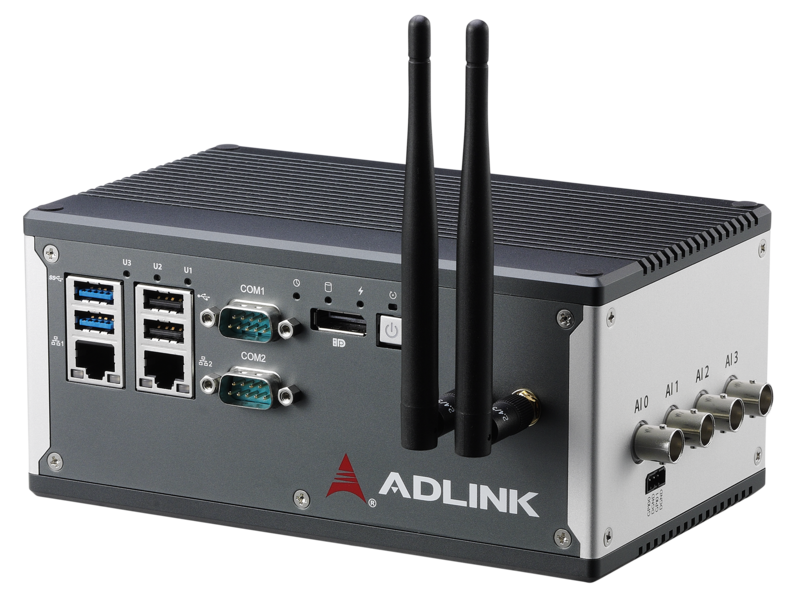 Visual Signal DAQ Express is based on visualization of analysis function blocks, enabling convenient and quick construction of the required software function block using a visualized user interface, enabling complicated, multi-task analysis without any programming. 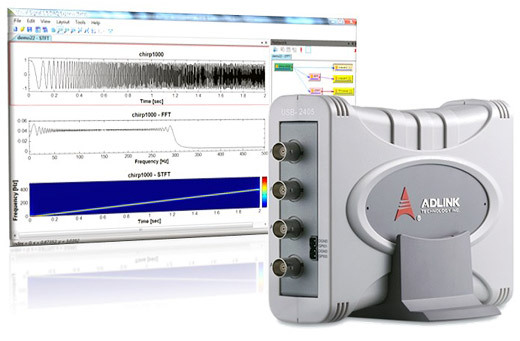 Visual Signal Express features a variety of signal process and analysis function blocks, including Filter, Mathematics, Transform, Convert, and Time-Frequency Analysis (TFA). These function blocks can be composed and linked to achieve multi-task analysis based on the data flow. 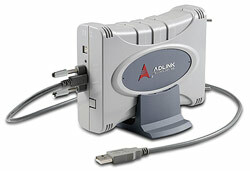 For data/waveform display, the Viewer area can be divided into several sub-windows for multi-viewer display. Visual Signal Express supports channel viewer, time-frequency viewer, and X-Y plotting. 1. 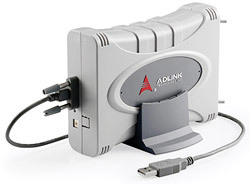 The installation USB flash drive for Visual Signal DAQ Express is already attached to the shipment-ready ADLINK USB-2405 and it"s free of charge. Users need only follow the instructions on the quick start guide to register on the website and activate their Visual Signal DAQ Express.